When the news filtered through on Friday, September 8, that the “King of the Mountain” (“Peter Perfect”) had lost his life rallying in Australia, it was one of those items of news that was difficult to take in. There he was enjoying himself on a rally in Western Australia – but his car hit a tree at some speed, and Brockie was gone. His co-driver, Mick Hone, was injured in the crash, but is reported to be in a stable condition. Peter Brock won the Bathurst 1000 nine times, so it is entirely appropriate that the Supercheap Auto Bathurst 1000 next month (October 5-8) will be dedicated to the memory of the great man. Here he is on the podium at that circuit, after winning the 24 Hours in 2003. The Bathurst 1000 race winners will receive the Peter Brock Trophy on October 8, while the front row of the grid will be left empty, to acknowledge Brock’s six pole positions at the Bathurst event. All the teams in the race will be provided with 05 decals – Brock’s number, of course - to apply to their cars. "By naming the trophy we forever honour his name. 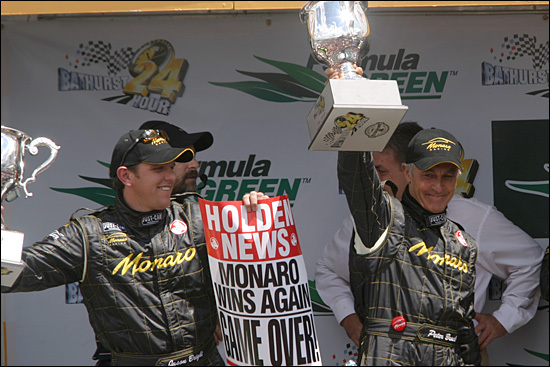 I dare say that no-one will ever match his record at Mount Panorama so there is no more fitting tribute than for the winners of the race to be afforded the honour." The organisers are currently seeking out as any of the cars that Brock drove to victory at Bathurst as possible. Peter Brock's son James, former co-drivers Brian Sampson, Jim Richards, Larry Perkins, John Harvey, David Parsons, Peter McLeod, Mark Skaife and Craig Lowndes are likely to drive these machines in a lap of honour at the Bathurst 1000. Peter Brock will be honoured with a state funeral next week - at St Paul's Anglican Cathedral in Melbourne, on Tuesday 19 September, with a memorial service to follow at Sandown Raceway on Friday 22 September. 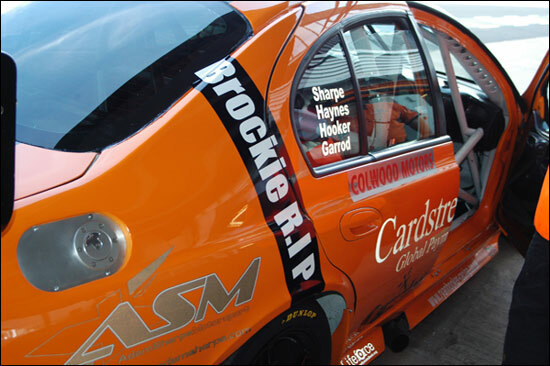 The Britcar 24 crowd remembered the great man with this addition to the livery of the ASM Ford Falcon last weekend.